Animals and human can perform various kinds of movements due to the muscles in the body. Muscles are spread throughout the body and form their own system, called the muscular system, which allows the body to perform all the movement. You can consider the muscular system as an engine and the skeletal system as a chassis of the body. Muscles are directly controlled by the brain which directs them to act in a way to perform the desired move. The heart in our bodies is also made of muscles, but it works on its own – without brain intervention. 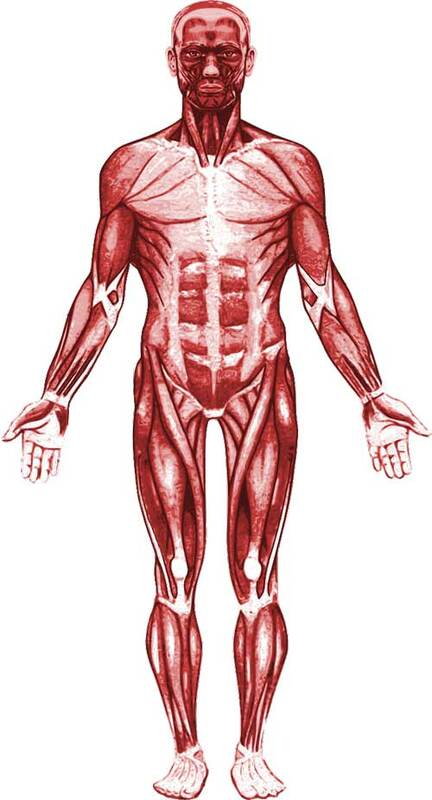 The human body contains around 650 muscles that cover the bones for performing movements. When a move is to be performed, our brain directs more than one muscle in series. Muscles in our body works are made of cells which are long and thin. These cells are packed together to form a muscle. All the muscles in our body work by contracting themselves to give us pulling force, and relax when its pair muscle perform the pulling. The process of contraction and relaxation happens when muscle fibers receive messages from the brain through nerves. After receiving the message, certain types of chemicals are released into the muscles to perform the contraction. Most of the muscle in our body are in pairs to perform the movements in both directions. For example, our arms have biceps and triceps muscle pair. When we want to bend our arms, the biceps will contract and triceps will relax. But when we straighten our arms, triceps have to contract and biceps have to relax. The human body contains 3 types of muscle; Cardiac, skeletal, and smooth. These three types of muscles differ from each other according to the way they are used in the body. Cardiac Muscles – These are specialized muscles which make our heart. Cardiac muscles also perform contraction operation but they have some special characteristics which make them useful for the heart. They can perform sustained contraction and expansion without needing to rest. Skeletal Muscles – These muscles, also called striped muscles, cover the whole of our skeletal system and allow us to perform movements. Skeletal muscles are directly under the control of the brain which manages their motion. They are connected to bones with special connective tissues, called tendons. Muscles of the human body are designed in such a way to grow bigger and become more strengthened as they do physical exercise. Exercising actually make microscopic ruptures in muscle tissues, which improve when the body heals to allow us to perform physical activities easier. But there is a catch, when a person doesn’t perform sufficient physical exercise, its muscles will start to shrink and become weaker. It is due to the genetics of humans which makes muscles weaker when their need is less. Because thinner muscles are more energy efficient as compared to big muscles. When we feel cold, our body starts to shiver because hundreds of muscles in our body start to contract and expand rapidly to make our body warm. When we smile, there 17 muscles in our face that work together. But when frown, around 43 muscles become active. The longest muscles in the human body start from the hip and end at the knee. 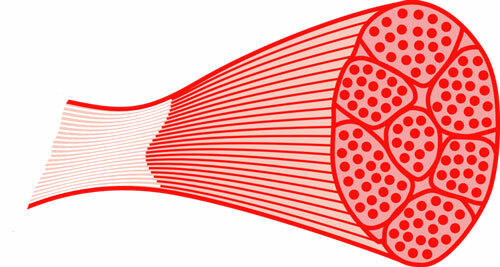 It is called Sartorius muscle which helps us in twisting the leg. Abdul Wahab, "Muscular System," in Science4Fun, April 12, 2019, http://science4fun.info/muscular-system/.